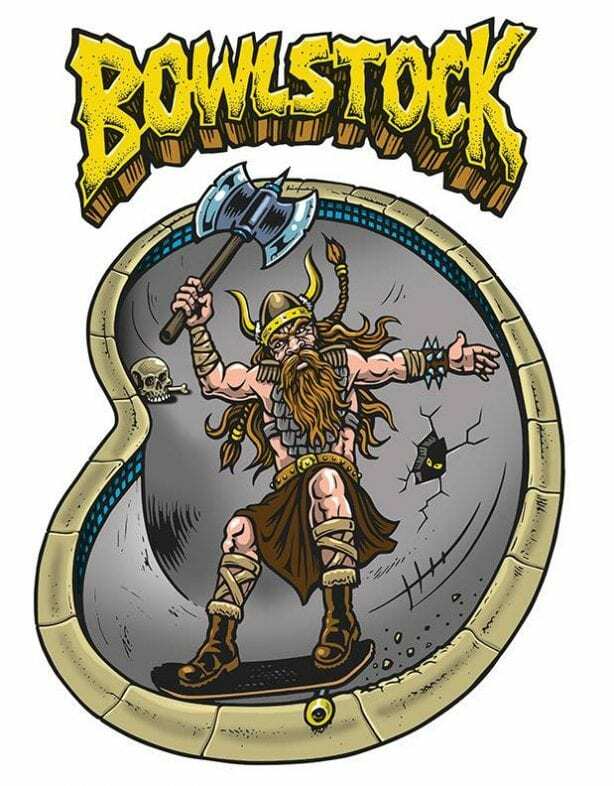 Bowlstock, a yearly skateboard and music event held in Highvalley Skateworld in Högdalen, Stockholm, Sweden is set for August 11, 2018. The event is arranged by skaters for skaters, and the purpose is to bring some of the best skateboarders and musical artists (related to the skate culture) to Stockholm. Bowlstock has grown rapidly, now in its fourth year. Watch some of the world’s hottest skaters battle it out in a classic Betongcupen bowl competition, with special guests, bands and musical artists! • BetongCupen Heats and Finals, for all classes (Pro/Am, Juniors, Females, Legends/Msters). • Eurocana Legends Sessions: Masters (+45) battle it out in the bowls. • Stockholm Freestyle: World Championship competitions. Artwork by the fabulous Jim Phillips.